It perfectly holds the JT-TA tools when not in use. 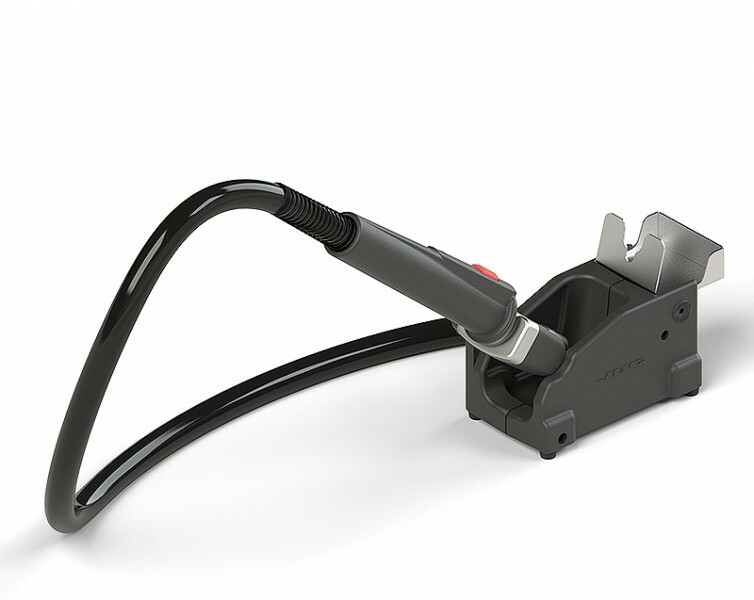 Its adjustable tool holder suits your work position and the quick nozzle changer allows to switch between nozzles without interrupting your work. Auto-stop function for safety The tool automatically stops blowing hot air when returned to the stand. This prevents potential incidents such as overheating, you save power and lengthen the heater´s life. 3 modes of activation Using the station menu, the operator can choose the mode of start blowing hot air: Auto-start (just lifting the tool), pressing the tool´s button or using the P-005 Pedal instead of the stand.